Wonder Woman's life is changed forever when she is called on to take the place of War on Olympus! 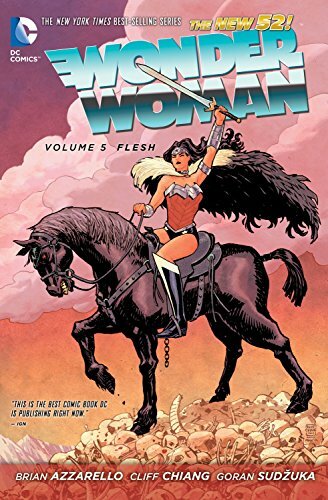 An epic new era of WONDER WOMAN begins here, as Diana must decide if the path set out for her is one she wants to take. But there's no time for Wonder Woman to fully comprehend the fallout as her family gathers to prepare for an assault on Olympus! The last time the First Born came for Olympus, it took the death of the God of War to stop him. With Wonder Woman as the new God of War and the First Born more determined than ever to claim his birthright, things are about to get violent indeed! Collects WONDER WOMAN #24-29, and WONDER WOMAN #23.2 FIRST BORN.